After doing a special article on Boomerang's visual history I got requests to do a special post about the content itself, the shows Boom used to air and how the channel itself evolved. So here it is. As we know, Boomerang Europe was born in 2005, five years after the US and UK versions plus several other feeds around the world. 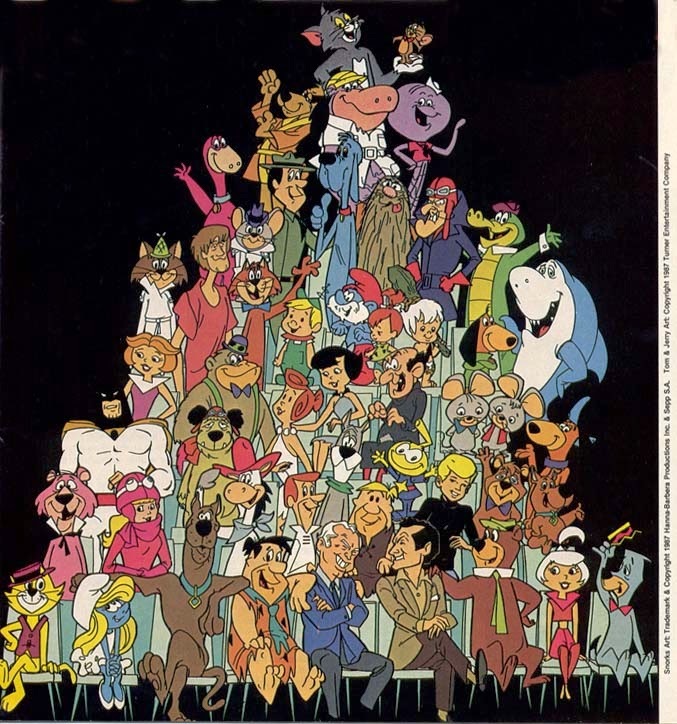 The whole idea behind Boomerang, in the US and worldwide, was to make a channel that would be a home to Turner's vast library of old cartoons, consisting mainly of Hanna-Barbera output, old MGM shorts, Warner Brothers pre 48 shorts, Popeye and a few other. That's an impressive library, large and varied enough to produce several channels. This was happening at a time when Cartoon Network was slowly starting to axe old cartoons, leaving only the most famous HB/Warner creations while their own originals were dominating the schedule. So it was a natural and great idea to give life to a channel specialized in nostalgia and these amazing old cartoons that so many generations grew up on. The original concept wouldn't last forever and it was slowly abandoned, depending on which feed you were lucky, or unlucky, enough to have. The original, US version was the most loyal to it's original mission, staying a real classic cartoons channel up until a year or so ago. Internationally, Boomerang Europe was probably the best at staying true to it's original idea and airing classic cartoons most of the time. In it's first few years, Boomerang Europe, was a classic cartoons fan dream come true. 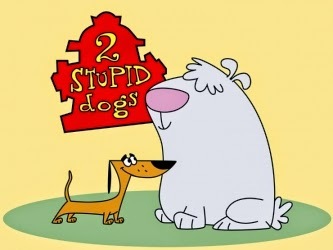 All the best shows from Cartoon Network's 90s golden age were there and, for me, it really felt like watching the old UK/European version of CN in the 90s. The schedule included eternal classics like Tom and Jerry, Looney Tunes, Scooby Doo, Popeye, Tex Avery shorts and The Flintstones plus Hanna Barbera's 60s and 70s classics like Top Cat, Wacky Races, Hong Kong Phooey, Captain Caveman & the Teen Angels, Dastardly and Muttley, Scooby Doo Where Are You?, The Scooby Doo Show, Help! It's the Hair Bear Bunch, Josie and the Pussycats, The Jetsons, Huckleberry Hound, Atom Ant, Snagglepuss, Jabberjaw, QuckDraw McGraw, The Perils of Penelope Pitstop, Inch High, Private Eye, Magilla Gorilla, Lippy The Lion, Pixie and Dixie. 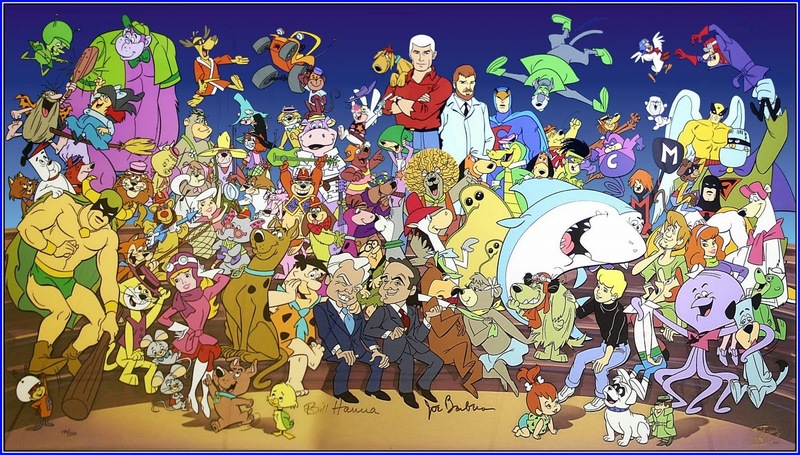 The channel was also home to HB more recent output, like their well known shows from the 80s and 90s, mostly baby versions of their older shows: A Pup Named Scooby Doo, Tom and Jerry Kids, The Flintstone Kids, Yo Yogi!, Droopy and Dripple, Droopy Master Detective, The New Yogi Bear Show, The 13 Ghosts of Scooby Doo, Yogi's Treasure Hunt, The Addams Family, Flintstone Frolics. In 2006 several shows joined the channel, some of them third party UK shows like Danger Mouse and Count Duckula. The 80s favorites like Heathcliff and Marmaduke, The Raccoons also became part of the schedule plus the 90s classic The Mask, which really brought back that feel of 90s CN UK. We also got Hanna Barbera's 90s off beat classic, 2 Stupid Dogs and Dumb and Dumber. 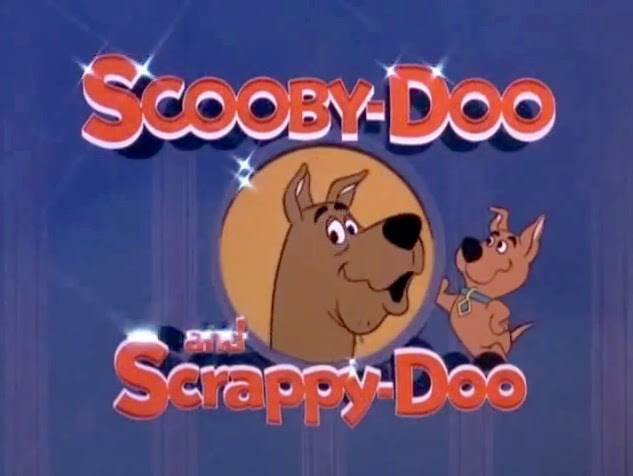 In 2007, some more Scooby shows premiered on the channel, including Scooby and Scrappy Doo and The New Scooby Doo Mysteries. That year was also the first time Boomerang aired some recent Cartoon Network shows when Mike, Lu and Og and Sheep in the Big City joined the line up. 2008 would see some HB 60s classics slowly leaving or being relegated to just overnights. This was related to channel becoming 100% Polish translated so some other shows without dubbing, like The Flintstone Kids or The New Scooby Doo Mysteries would leave for good. The New Scooby Doo Movies premiered and were soon mostly part of Boomerang Cinema. 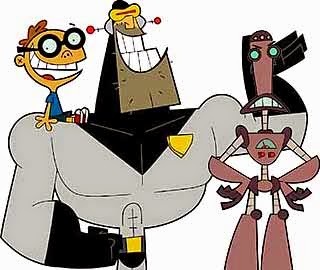 Time Squad joined the channel as another recent CN addition plus a third party show called King Arthur's Disasters. 2009 was a year of significant changes, maybe even a sign of what's to come in the next decade. Quite a few classic HB shows like Josie and the Pussycats, Jabberjaw, Captain Caveman etc left the channel never to return again. The few HB shows from the 60s that stayed on were their biggest hits like Scooby, The Flintstone and The Jetsons plus the Wacky Races franchise and it's spin offs. 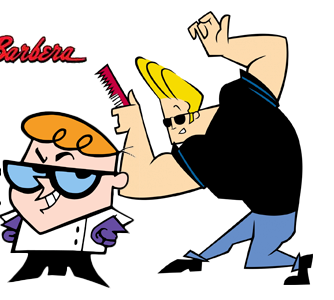 Some of Cartoon Network's biggest hits from the 90s, Dexter's Laboratory and Johnny Bravo joined the channel plus a first recent WB show, Duck Dodgers. 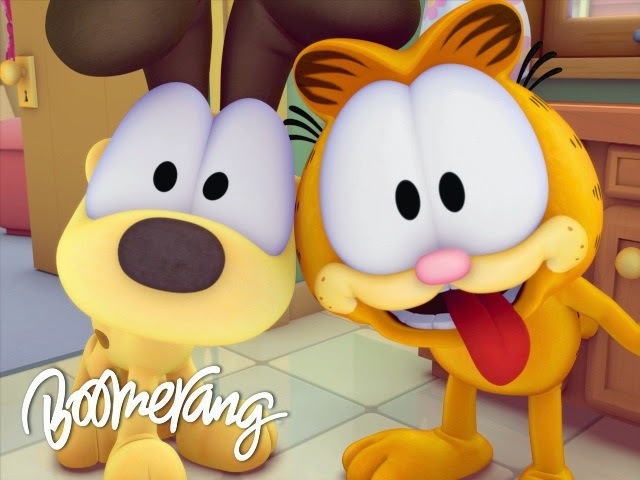 Finally, The Garfield Show came to Boomerang and would go on to dominate the schedule in later years and as we know very well, right now. In 2010, another modern day version of a classic character arrived. 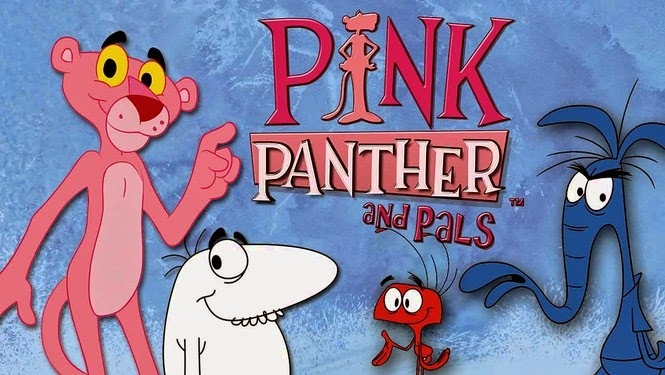 It was Pink Panther and Pals though interestingly, Boomerang Europe never aired the Pink Panther classic shorts. The 1989 HB version of Paddington Bear was a pleasant surprise, especially since in the last few years only newer shows were joining the channel. At this point Boomerang was still very much a classic cartoons channel. Yes, the HB library has significantly shrunk and the channel was left with mostly their best known stars (T&J, Scooby, Flintstones, Jetsons, Dastardly & Muttley, Wacky Races, Top Cat, Yogi, Hong Kong Phooey, Penelope Pitstop) but it was still a healthy mix of different characters plus some more recent CN 90s classics and a few modern day versions of classic stars. It continued that way into 2011 but on 12. October 2011 a big change happened. The Pan European feed split into two separate versions, one for central and eastern Europe and another for Africa, Middle East and a few European countries like Netherlands, Greece and Portugal. 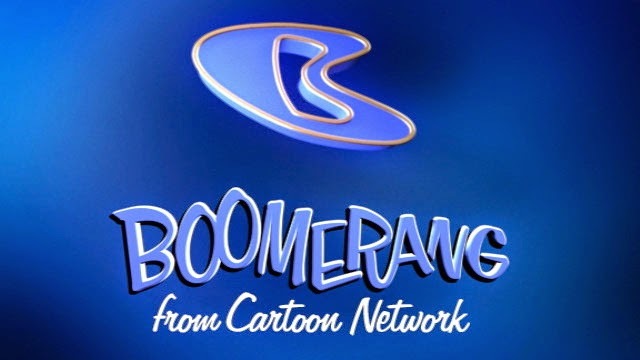 Boomerang CEE started from scratch with only a few classic shows (T&J, Looney Tunes, Scooby Doo, The Flintstones and The Jetsons) with 2 modern day, CGI shows joining in with multiple slots (George of The Jungle and Casper's Scare School). 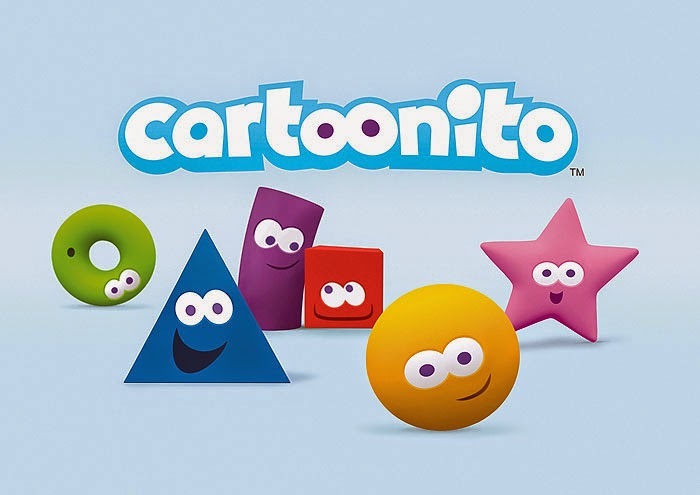 Plus a pre school block called Cartoonito became part of the channel with 3 slots that would expand over the years. It was a horrific change and it really looked like the channel is done with classics and will be unwatchable. Fortunately, over the next 2 years, more classics slowly returned, depending on when their Romanian dubbing was done. Dastardly and Muttley, Penelope Pitstop, Yogi Bear, Hong Kong Phooey, Hair Bear Bunch, Top Cat, Yogi's Treasure Hunt, A Pup Named Scooby Doo, Tom and Jerry Kids all returned month after month, though interestingly, one of Boomerang's staples from the past, Wacky Races, never made it back, even though it was announced several times. Apparently there were some dubbing issues. The channel became even better when a bunch of 90s Warner Brother's classics premiered (Taz-mania, Tiny Toon Adventures and The Sylvester and Tweety Mysteries). This was a pleasant surprise and once again Boomerang had schedule that was a mix of HB classics, 90s WB and CN classics (Dexter and Johnny Bravo also returned) plus some Cartoonito stuff for babies. Caroonito also got a bunch of new shows, many of them live action but I don't even want to remember those. The only thing worth watching in this block were Baby Looney Tunes and Paddington Bear. During this period Boomerang also started airing a modern day version of Tom and Jerry called Tom and Jerry Tales plus a strange appearance by Skunk Fu, a bad CN show that shouldn't have aired on CN at all plus Foster's Home For Imaginary Friends. Neither lasted long on the channel. 2014 brought some slow, not so good changes to the channel. Cartoonito was eliminated, as a block, but several of it's shows, most notably Lazy Town, Krypto The Super Dog and Baby Looney Tunes stayed on Boomerang and became integral part of the schedule with many slots, especially the dreadful Lazy Town. HB classics like Top Cat, Hair Bear Bunch, Dastardly and Muttley disappeared again when the channel added Russian audio to it's feed, only to re-apear in form of a Sunday afternoon block called Sunday Chase-O-Rama. 90s WB classics also left one by one but Animaniacs joined the channel in April. Yet another, modern day version of T&J, called The Tom and Jerry Show came to Boomerang which led to the original, classic T&J shorts almost disappearing. Looney Tunes also slowly faded away, left only with random, one short slots between some shows. The Flintstones and The Jetsons lost their weekday slots and were only left on weekends. Currently The Flintstones have a double bill slot at 18.00 on Sundays, with this up-coming Sunday being their last showing, quite possibly last showing ever, so you better tune in. So at the end of 2014, even before the rebrand, Boomerang Europe has made a transition. It is no longer a classic cartoons channel, but a ''modern day versions of classic characters'' channel. The schedule is uninspired and with no variety, the ad breaks are endless reruns of Garfield scenes and CGI Road Runner shorts. From next week, Scooby Doo will be the only remaining classic cartoons on the channel. Tom and Jerry classic shorts will occasionally be aired after Boomerang Cinema, time permitting. Speaking of Boomerang Cinema, it has also suffered a painful transition. This movie block used to air all kinds of classic cartoon movies and feature length films, many of them aired on Cartoon Network in the past but still there were many great flicks we could enjoy on weekends. Last few years, and especially this year, the block has turned into a boring, never changing rotation of Scooby Doo and Tom and Jerry direct-to-video films, with occasional New Scooby Doo Movies episode or Garfield/Lazy Town specials. Like the channel, it has also lost it's purpose. In the end, I don't want to sound too bitter, this is an article as much as it's a personal look back at the channel I loved so much. I know everything has to change, evolve and adjust to times. Boomerang couldn't air the same old shows forever. Still, there is a much better way to implement modern times and audiences into the original idea of a network dedicated to classic cartoons. There are 24 hours in a day and a dozen of slots that can fit in all the cartoons needed to satisfy different audiences. 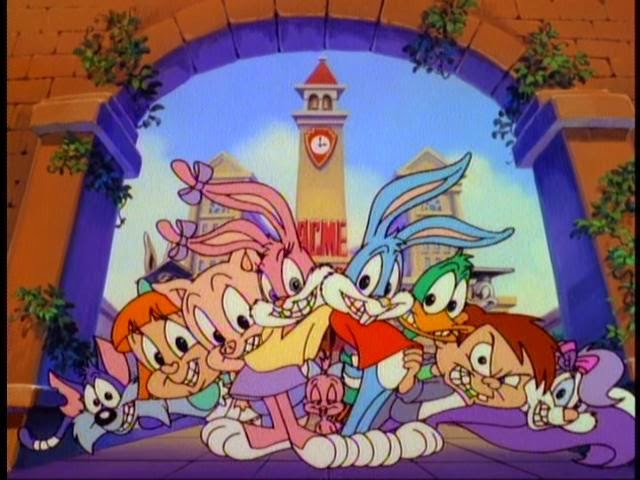 With some creativity and will, Boomerang could have a great schedule, mixing old and new, again. I do hope people at Turner will eventually realize this. Nice continuation of my article. So, only 24 hours to rebrand of Boomerang. The old BM HQ will live on our dreams. You should better catch the last showing of The Flintstones on BM CEE at 18:00. There goes the last showing of The Flintstones and the classic Tom & Jerry with the original logo, Tom & Jerry will be in the new schedule, sort of, but it's not enough, i hope in the next months they'll get rid of all those double bills, and some classics should be back. Turner should also air some old forgotten CN shows on Boom like Ed, Edd N Eddy and The Cramp Twins. Hope you enjoyed the very last showing of The Flintstones. It's been a fun decade, but, like most things, time has taken it's toll. I just watched the new CGI Inspector Gadget, and i gotta say i like it, it wasn't so bad, well it can't compare to the original one. Do you guys like the new logo and the new bumpers? I don't think they're bad, the only thing in my opinion that Boom needs is a better schedule. Leave "The Tom and Jerry Show" at 15:05 (on weekdays), please! Could you stop posting the same thing over and over again, in every possible post? It's spamming and I'll delete it all in the future. excellent post and i totally agree! i haven't watched boomerang for years. once they got rid of all the old cartoons, for the exception of scooby doo, this channel jumped the shark and was no longer about classic cartoons.